I attended Whole Foods' 2016 shareholder meeting. Whole Foods (WFM) is under pressure after Target, Walmart, and other retailers copied its model and began selling organic and other food. Although WFM opened stores with unique layouts, such as the one in downtown San Jose, California, to attract customers, it's still facing intense competition. Its meeting was business-like and efficient. Only water, sparkling water, and sodas were served in a S.F. hotel conference room. Disclosures: I have an insignificant number of WFM shares. My positions may change at any time. 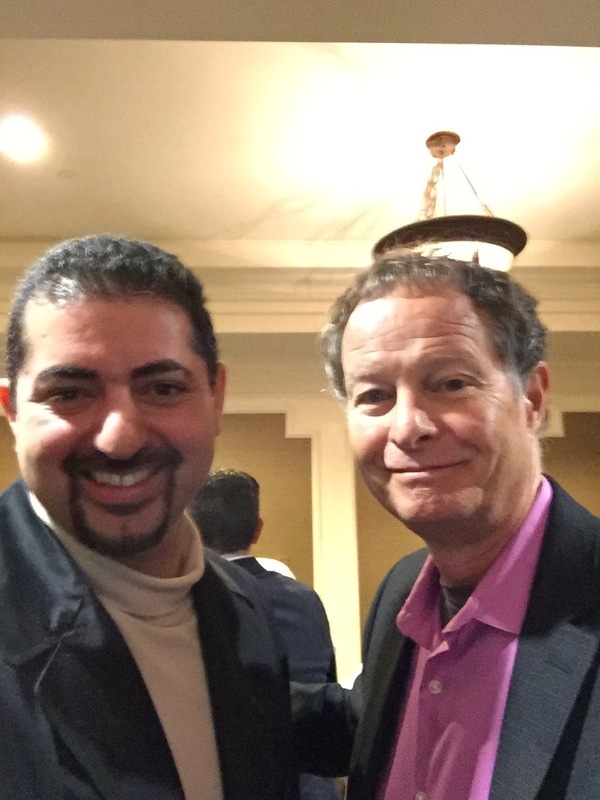 The picture above is with co-CEO and co-founder John Mackey. This post was published on March 15, 2016.